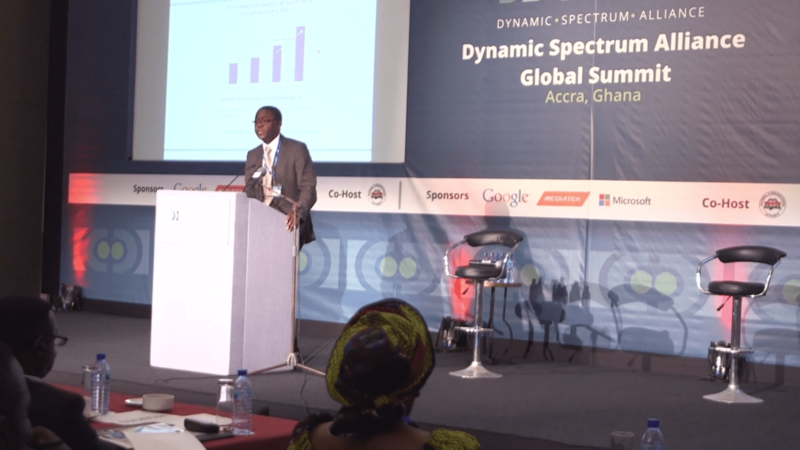 Tuesday May 13th, at the Dynamic Spectrum Alliance Global Summit in Accra, Microsoft Corporation announced new TV white spaces pilot projects on four continents, including the newest project in Koforidua, Ghana, in partnership with SpectraLink Wireless and Facebook said Paul Garnett, Microsoft’s Technology Policy Group Director at the summit. Microsoft is currently involved in pilot projects in 10 countries, spanning four continents. To learn more, read Garnett’s full post on Microsoft on the Issues. Microsoft’s commercial partnership with SpectraLink Wireless and research partnership with Facebook will deploy wireless networks covering entire campuses at All Nations University College and Koforidua Polytechnic. This pilot is part of Microsoft’s 4Afrika Initiative to help improve the continent’s global competitiveness. A core goal of the 4Afrika Initiative is to facilitate access to technology for the masses and to empower African students, entrepreneurs, developers and others to become even more active global citizens. For students and faculty at the universities, access to the network will be coupled with productivity and communications applications as well as Internet-enabled devices. The networks will use TV white space-enabled radios and other wireless technologies to connect campus buildings, as well as off-campus hostels where students live, to ensure they have access to fast broadband. The project is operating under a TV white space pilot license granted by the Ghana National Communications Authority and is the only TV white space license currently issued in West Africa. Facebook’s main involvement in the project will be to collaborate with Microsoft and SpectraLink Wireless on joint technology research to better understand how TV white space spectrum and equipment can support wireless Internet users today. These efforts will be led by Facebook’s Connectivity Lab team, who are working on new technologies to support Internet.org’s mission to make Internet access available to the two-thirds of the world not yet connected. Facebook, Microsoft and SpectraLink Wireless have a like-minded view that a more abundant supply and flexible use of spectrum are important aspects to affordably connect more people to the Internet, and the companies plan to collaborate on the policy front. All three companies involved in this pilot project are also members of the Dynamic Spectrum Alliance — a global, cross-industry alliance focused on increasing dynamic access to unused radio frequencies. “TV white spaces technology, when combined with other low-cost wireless technologies, such as Wi-Fi, offers a substantial opportunity for businesses, consumers and governments around the world to improve the economics of broadband network deployment and service delivery”, “Through these projects worldwide, we are working with local private and public-sector partners to enable new consumer experiences, while encouraging governments to make needed legal and regulatory changes to allow this technology to be deployed more broadly” said Paul Garnett. SpectraLink Wireless: Ghana TV White Spaces Pilot from Plastic Buddha Productions on Vimeo. “This project will provide substantial benefit to students and faculty at the universities, until now, students at these universities have not had consistent access to fast broadband, which is key to students’ ability to access information and learning resources online and compete in the 21st-century economy. With SpectraLink Wireless’ Edutech-as-a-Service platform, students and faculty will have access to the best productivity applications on the market and Internet access at true broadband speeds. All at a low cost per user per month. We look forward to rolling this out in Koforidua and the rest of the country.” said John Sarpong, CEO of SpectraLink Wireless. Africa is not the only region where the company’s white spaces pilots are flourishing. In Asia, Microsoft has helped to pioneer white spaces pilots in Singapore and the Philippines. Microsoft was announced as a founding member of Taiwan’s Dynamic Spectrum Access Pilot Group, which aims to contribute to the creation and development of a world-leading dynamic spectrum access ecosystem in Taiwan, leveraging Taiwan’s tremendous capabilities in semiconductor design and fabrication, component and devices manufacturing, and systems integration and solutions. The group includes leading Taiwanese companies, academic and research institutions, as well as Mediatek, the Communications Research Center at the National Taiwan University, and the Taiwan Institute for Information Industry. All are members of the Dynamic Spectrum Alliance as well. The group will conduct pilot projects in Taiwan for both rural broadband access and Internet of Things (IoT) applications, such as Smart Grid, using TV white space radios. Dynamic Spectrum Alliance is a global organization advocating for laws and regulations that will lead to more efficient and effective spectrum utilization, DSA would contribute to discussions about innovative ways of managing limited radio spectrum resources, including dynamic spectrum access. Dynamic spectrum access describes a family of emerging wireless technologies that can use radios frequencies more efficiently, thereby increasing the availability and reducing the cost of wireless bandwidth. Following successful trials utilizing one form of dynamic spectrum access – transmitting on unused TV channels (TV White Spaces) – in selected locations in Accra, Ghana,( Meltwater Entrepreneurial School of Technology, MEST) deployments will soon take place at targeted tertiary Ghanaian institutions, including the Koforidua Polytechnic and All Nations University College. By utilizing TV White Space-enabled radios from radio manufacturer 6Harmonics that connect campus buildings spaced far apart as well as off-campus hostels, the entire university campus including students and faculty members will be able to enjoy an always-on high-speed Internet service. SpectraLink Wireless is an Internet service provider setup in Ghana focused on making broadband access affordable. The company is going to market under its DjungleWiFi brand with Edutech-as-a-Service platform targeting universities in the West and Central African regions. SpectraLink Wireless, through its consumer brand djungleWiFi sponsored free Wi-Fi access for all conference participants during the DAS global summit. A Wi-Fi network was deployed on site, and uses white space radios as the backhaul technology providing fast Internet service.